Comment: Seven tourmaline crystals forming a unique horse shape. Self-standing as shown in image. Very nice. 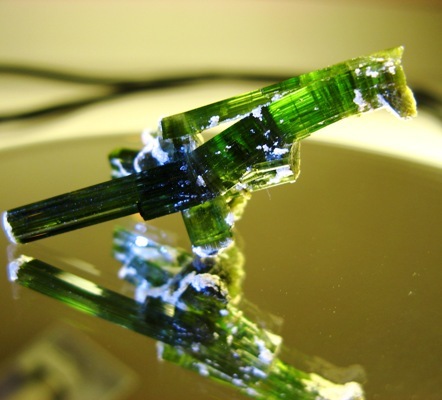 The tourmaline is gem clean and of best color. Surely one-in-a-kind, forever.